With the recent devastation of the 7.1 Magnitude Earthquake hitting Haiti's capitol of Port-au-Prince, reports have surfaced that "most of Port-au-Prince is destroyed". To support in the relief efforts, ALL 100% OF PROFITS from these 3 print will be donated to Doctors Without Borders, an international medical humanitarian organization created by doctors and journalists in France in 1971. 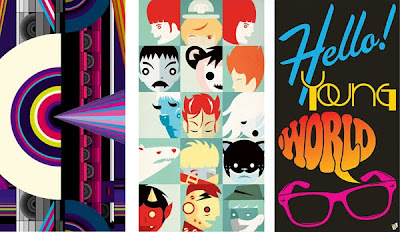 The posters pictured above are being sold though The Poster Cause Project bigcartel online shop. From left to right DALEK, PATRICIO OLIVER and SHANE JESSUP. The posters are only $15 each so go get one or even all three and help support this good cause. The prints are available here.